Essential thrombocytosis, which is also called primary thrombocytosis, is a non reactive chronic myeloproliferative disorder. 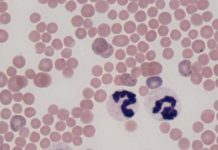 This disorder is associated with sustained megakaryocytic proliferation which increases the number of circulating platelets. 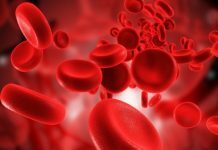 Earlier, this disorder was considered a clonal disease which involved stem cells but according to certain recent studies, some patients may have polyclonal hematopoietic as well. 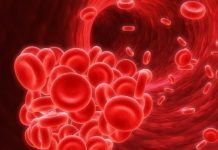 The first indication that a person is suffering from essential thrombocytosis is the development of blood clots anywhere in the body such as brain, hands and feet. 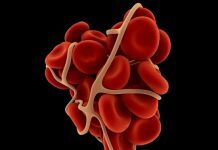 The main signs and symptoms of this disorder depend upon where the clot is formed in the body. Some of the other common symptoms of essential thrombocytosis are headache, dizziness or lightheadedness and weakness. Chest pain and weakness are the other two common symptoms of this disorder. Fainting can be another sign that the person is suffering from essential thrombocytosis. If you are fainted lately then you might want to get yourself checked for this disorder. Temporary vision changes are also experienced by those who are suffering from primary thrombocytosis disorder. 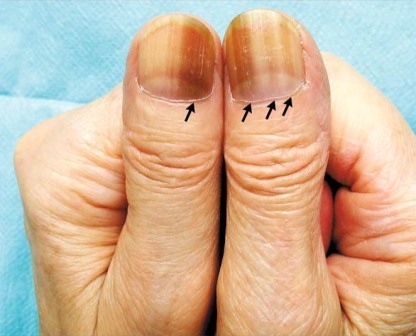 Another common sign of this disorder is numbness or a tingling feeling of the hands and the feet. Redness or the throbbing of the hands or the feet is another indication of essential thrombocytosis disorder. Burning pain in the hands or the feet can be considered yet another sign of this disorder. Another sign of primary thrombocytosis is a mildly enlarged spleen. 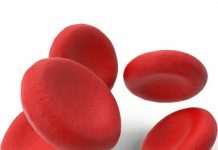 Less commonly, essential thrombocytosis may result in bleeding and this especially happens in the case when the platelet count has become very high. 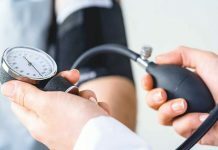 Bleeding can be in many forms and some examples of it are nose bleeding, bruising, bloody stool and bleeding from the mouth or the gums.If you have experienced one or more of these signs or symptoms, then you should immediately consult a doctor and get the necessary medical attention and treatment done. This condition must be treated at the earliest possible as by delaying the treatment, there are chances of serious disorders.